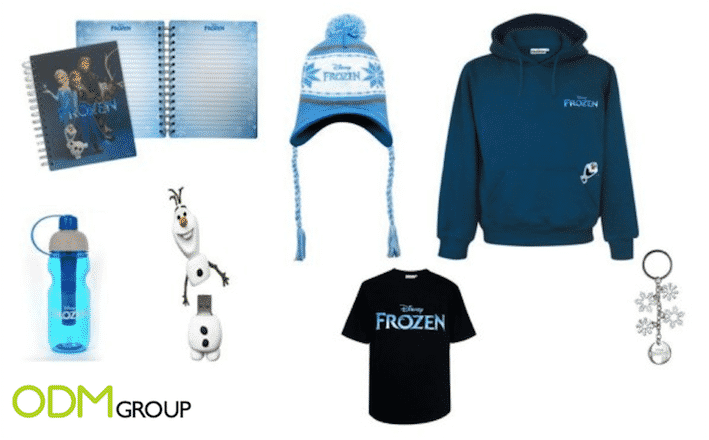 These "Frozen" promotional products will frost your days! These “Frozen” promotional products will frost your days! For every movie DVD/ Bluray release, Disney offers a lot of promotional products in order to boost its exposure in the market. With the movie “Christmas Story: Frozen”, it is no exception as well! What are these promotional products? Thanks to the many lucky draws organized on several websites, lots of people are able to win one of those awesome promotional products. Each item was created to immerse viewers into the movie and to extend the story. Indeed, for those who have already seen it, they can relive a part of Anna and Elsa’s adventure with these goodies. 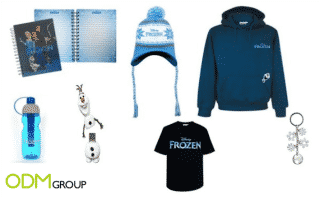 In fact, the brand is giving away some very nice items such as an Olaf USB stick, a snow flake keychain, a warm hoodie and beanie, a notebook, a t-shirt and a drink flask. In order to comply with Disney’s strict expectations, all of these products are high-end, unique and original. Using promotional products; always a good idea! As we have seen, the main goal of Disney is to make the people feel special and share an experience with the item. The way to win these prizes is also very beneficial for the Disney. Indeed, these promotional items were offered on different websites that have a focus on family bonding. The only way to enter into the contest is to answer questions directly related to the story of “Frozen”. That way, the person would have to learn more about the movie before attempting this contest. This can encourage people to go the cinema so as to be able to dwell deep into the plot of Frozen. Like most promotional products, their cost is quite reasonable and the impact is pretty huge. That allows the brand create awareness of the new release. If the goodies are very original, they can even become collectible -especially for Disney products. That way, the desire for the items and for the movie would be empowered. Be sure to brainstorm for your next launching event. Our designers would be happy to help you with that!